Reflections of a Grady Doctor: Home Training. “Not too heavy-handed, hear?” she told her great-grandson. 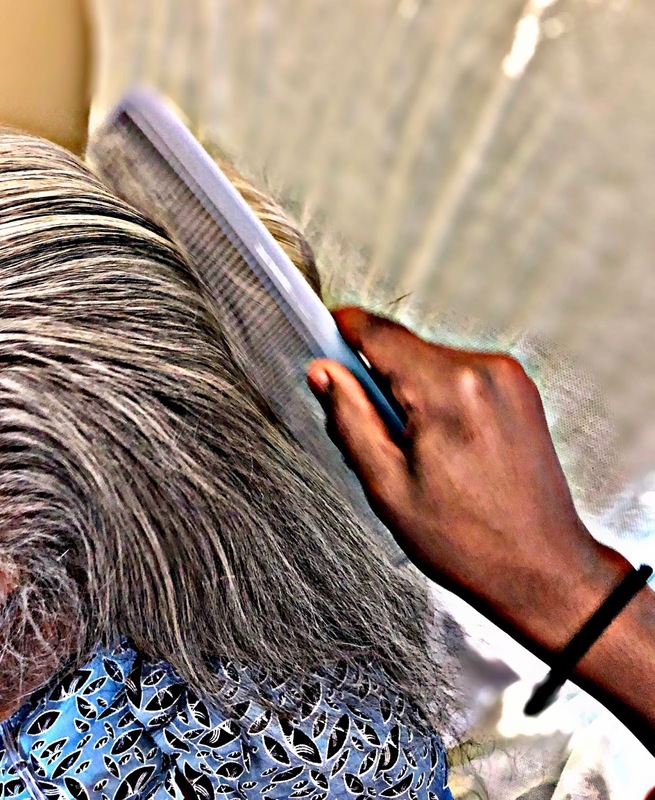 “You know Mama tenderheaded.” She turned to look him in his eye and he froze with the comb in his hand and nodded. Up until then, he’d been sitting in a chair, looking bored—typical of any middle school kid asked to sit in a hospital room. He had, as the Grady elders say, “good home training.” So he knew to ready himself to speak when I walked in on my afternoon rounds. His mom glanced at him and, on cue, he stood, looked into my eyes, and shook my hand. Then he sat back down, returning to his tweenaged thoughts. I examined the patient and then sat on the edge of the bed to speak her and the family. 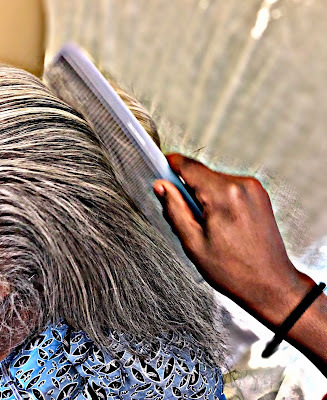 At some point in the discussion, my patient said, “My hair is a mess.” And again, as if prompted, that same great-grandson rose from his chair. A woman once told me that I needed to have a daughter since boys don’t see about their elders once they become men. As a boy mom, that used to worry me. It doesn’t any more. Because now I’ve seen enough to know that children do what they see. Boys included. Don't you worry about your boys. They are learning what they see. Rest easy.